An American Kennel Club Program opened to mix-breed and purebred dogs. Four group classes prepare you for the test that is given on week five. 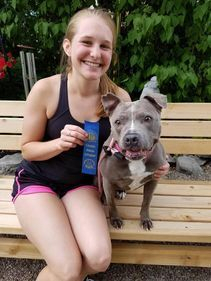 All dogs passing the ten step test receive an AKC certificate. A great stepping stone for dogs on their way to therapy work! Add fun, teamwork and challenges to your obedience training. 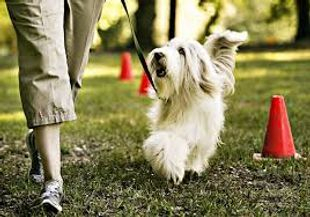 Learn to follow a course with your dog involving more advanced commands such as a spiral left, 270 degree left turn, etc. This class prepares you to compete in the AKC Rally competitions if you desire.